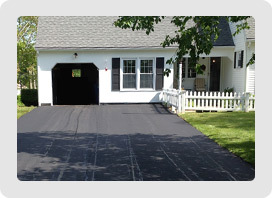 Based on over 30 years of experience with residential and commercial paving projects, Northeast Paving is the leader in driveway and parking lot paving and asphalt maintenance in Southeastern, Connecticut (CT) including the following towns: East Lyme, Essex, Groton, Ledyard, Lyme, Montville, Mystic, New London, Niantic, North Stonington, Old Lyme, Old Saybrook, Salem, Stonington, and Waterford, CT.
We consult with you to design a customized and functional driveway that will not only look great, but will also be practical. With Northeast Paving, you’re not limited to just replacing your existing driveway exactly as it is now, rather, we look at all your options. 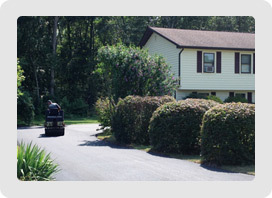 Read “Why Choose Northeast Paving?” to learn more about us. Please call us at 860-447-1518 with questions or to set up a FREE, No Obligation Consult. Contact Northeast Paving to outline your needs, or simply ask questions via our online form. I want to extend our thanks to you and the Northeast Paving crew for the fine job you did pacing the River Front Children's Center parking lot.